The Bitcoin Holy War — Who Will Win? 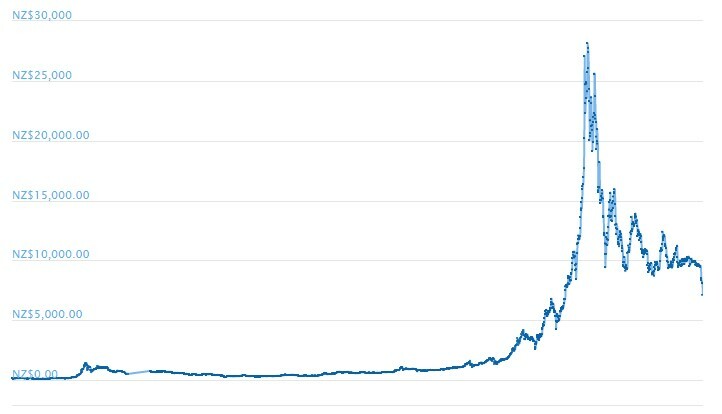 In the past week, the value of bitcoin has crumpled. 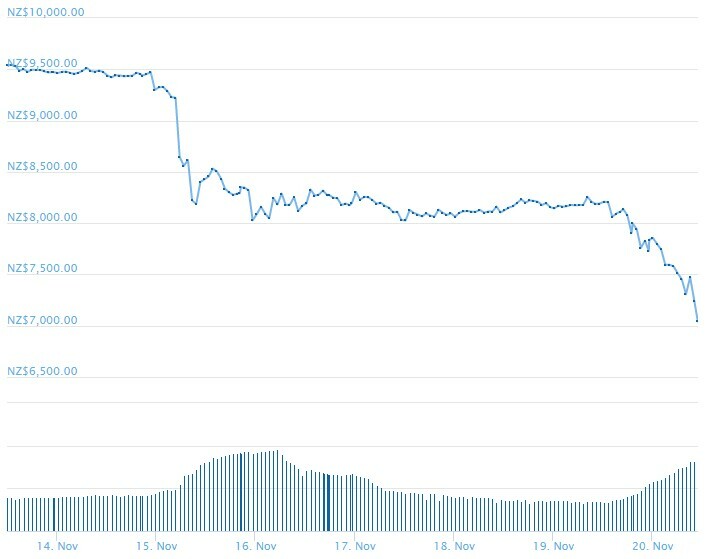 It’s gone from $9,500 per coin to under $7,500 a coin in roughly five days. We’ll cover why the downturn occurred…and predictions on how long it’ll last…in a moment. But first — two short updates. Ruatoria-based Hikurangi Cannabis is a company that we’ve followed closely, simply for the fact that they’re one of New Zealand’s most advanced cannabis producers preparing for the legalisation. For now, much of the talk has been just that — talk. Lots of chatter between investors and the directors, but nothing too concrete (Except that Hikurangi owns one of NZ’s first medicinal cannabis licences). That being said, the word is spreading quickly…with the New York Times spotlighting the story most recently. 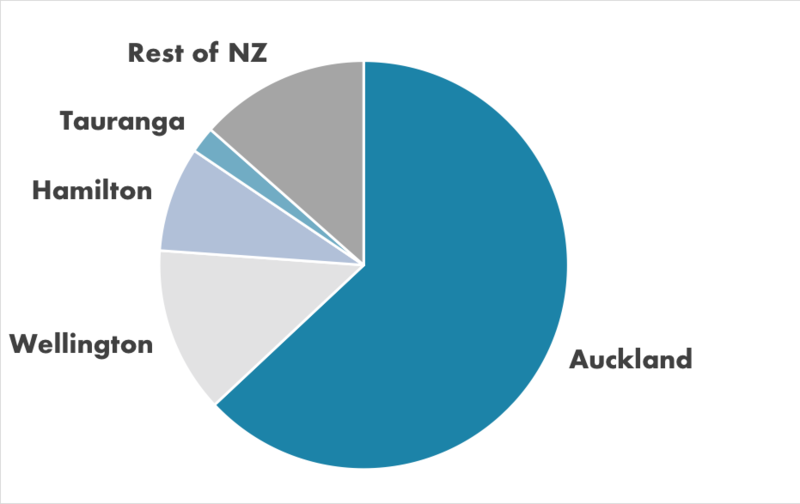 While this is great publicity for Hikurangi…it means that this company has hit the mainstream, even before retail investors had a shot to get in. That may end up making it harder to lock in early-investor returns if Hikurangi ever goes public. The other quick update has to do with the minimum wage. Migrants who come over on a skilled-migrant or essential-skills visa must be paid a minimum wage of $21.25 starting next week. For high-skilled migrants, that floor starts at $37.50. For reference, the minimum wage for your average Kiwi is only $16.50. Now, at first glance, you might think that’s unfair — why would foreigners deserve nearly $5 more an hour over me? The idea — in theory anyways — is to tighten the inflow of migrants…so that the ones who do come here need to work in high-demand, high-skill jobs appropriate for the higher-wage threshold. Less immigration should mean better wage power for Kiwi workers…and eventually higher wages…especially in the lower-skilled sectors. In other words, Kiwi businesses need more workers, not fewer…and tightening immigration through a higher migrant wage floor only makes the problem worse. This move could have negative consequences for small to medium businesses, as well as industries that rely on lower-skilled labour like construction. Enough of that. Let’s jump to something wholly more exciting — bitcoin. 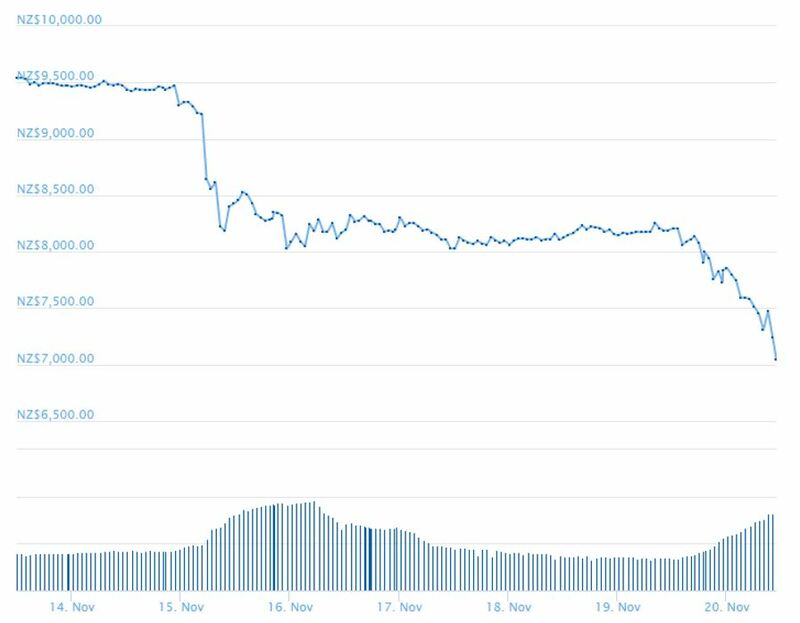 In the last 11 months, the price of bitcoin to the Kiwi dollar has fallen dramatically — from a high of $27,746 per coin to about $7,100 today. In the last two months of 2017, the bitcoin market took on a flood of speculators, which caused the near-vertical price leap peaking around Christmas. It quickly re-stabilised around the $10,000 mark after most of the yellow-bellied trend followers jumped ship…and that’s where it sat for the next 10 months. So most of your mainstream talking heads will look at this data, take the very tip-top of the bubble in December and compare it today…which is roughly 75% down. But that’s not a smart way to look at the data, is it? You wouldn’t look at an anomaly and treat that as your baseline? 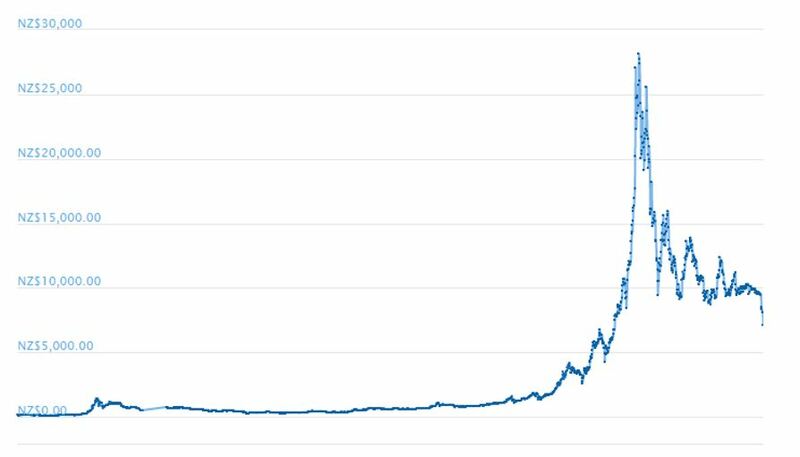 The spike in December is clearly an abnormal moment in bitcoin’s history…if you stick your thumb over those two months, you’d see a positive trend line (albeit a bit choppy). That being said, we have seen a steep drop-off this week — from $9,500 to about $7,100. Let’s zoom in on the last seven days. There’s clearly a slide, and I reckon there are three reasons why it’s happening now. First, there’s a war going on between two rival factions in the cryptocurrency world. One side, bitcoin cash ABC is the more established, larger force. On the other side, bitcoin SV — a more radical, conservative group committed to returning bitcoin to the original vision of Satoshi Nakamoto. Bitcoin SV threatened to use their significant computing power to attack and destroy the other side. And last week, there was a ‘hard fork’…meaning that bitcoin cash split into two separate currencies: bitcoin cash ABC and bitcoin SV. Sounds more like jihad than reality, which is a bunch of computer geeks typing away in dark server rooms. But the words spooked investors. The fork happened, and it all added a downward pressure to the price of bitcoin. At the same time, in Hong Kong, an exchange called OKEx made an unusual move that ticked off investors. The exchange is quite large. It claims to handle over US$1 billion of crypto trades daily. Many Asian financial institutions use it as their large-scale trading platform. When the hard fork occurred between ABC and SV, the exchange decided to force the early settlement of its bitcoin cash contracts. In other words, it pulled the rip-cord on the whole party, sending investors reeling. On the other end of the industry — in the mining department — many crypto miners are finding that the low price of cryptos don’t make the electricity usage worth it. At $7,100 a coin, their operations are in the red…and falling deeper. They’re shutting down their computers and stepping off to the sidelines. They’ll wait until the bitcoin algorithm automatically adjusts for fewer miners, making it easier/quicker to mine, meaning less electricity is used for each mined coin. Mathematically, this will change in a matter of weeks. And lastly, this all ties into PTSD from last year. It was around this time that prices started picking up…that the bubble began inflating. Here at Money Morning New Zealand, we trust that there’s at least some value in the technology. That under the layers of speculators and gamblers, there’s an idea worth investing in. We’ll just have to wait and see where this shake-up bottoms out.